You can imagine how much disposable dinnerware a barbecue blogger goes through, so I was excited when the company Repurpose let me know about their compostable dinnerware. 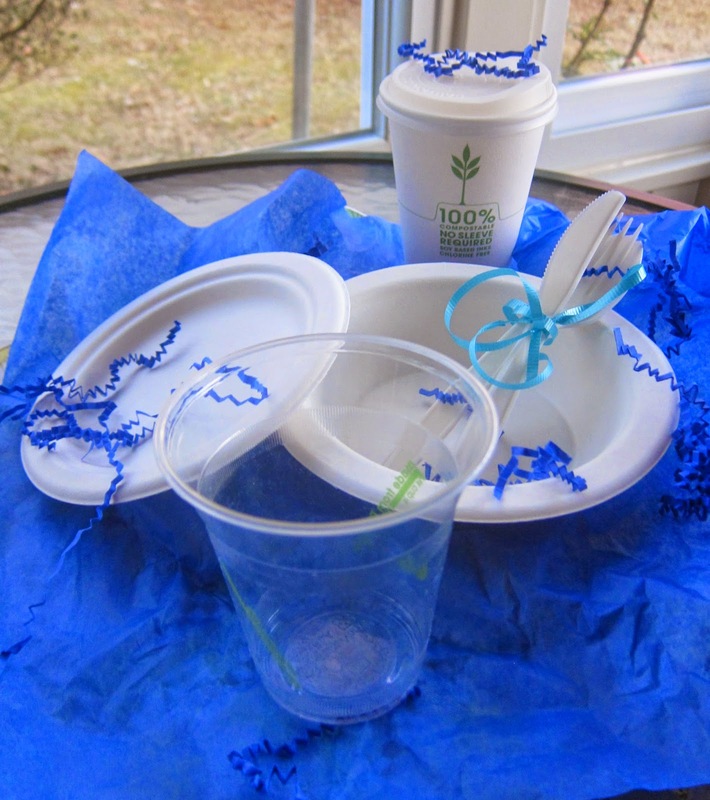 All of the above plates, bowls, cups, and eating utensils are single use and compost in 90 days. The company sent out the sample package above in exchange for an honest review. When you're talking both cold and hot cups and heat-resistant utensils, I wondered how sturdy they'd be. The package came. I checked them out. Very study and well made. To put these products to a real test, I had my son check them out. He is graduating in May with an Environmental Science and Education degree. He said the quality was much better than other "green" products similar that he'd seen. The items can handle both hot items (even in the microwave) and cold items like ice cream which is great for a barbecue dessert. Most of your disposable tableware is petroleum based. Repurpose uses plant materials. This is why the items are compostable and also non-toxic with no BPA. Yes. These are more expensive than your red Solo cups and plates. But, really, we need to invest a little more now so that we don't wreck our planet for future generations. You get your easy clean up here, high quality, and you don't fill the landfill.